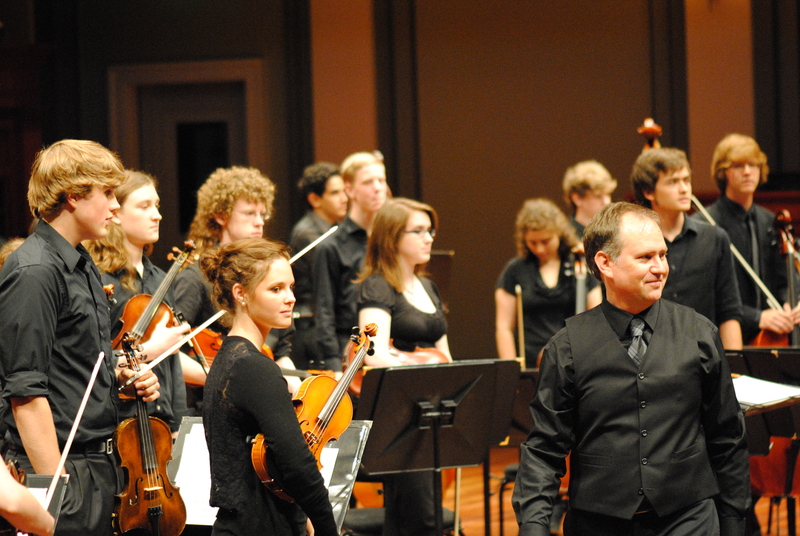 I started to write about music and education soon after I left teaching to work at the Nashville Symphony in 2014. Writing was something I had wanted to do for many years but the daily demands of working in a school environment helped me continue to procrastinate making a start at it. When I left the classroom, I took advantage of my career change to begin to write down reflections on a life in music and music education. My blog is called Off The Podium because it literally describes my perspective – I was a school music teacher and youth ensemble director for many years, and now have stepped “off the podium”. This blog provides a format for me to continue to teach and learn, as well as reflect on my experience as a musician outside the classroom or ensemble rehearsal. I have been a musician since childhood – a singer and multi-instrumentalist, and later a conductor, composer, and arranger – and have performed and studied a wide variety of music from nearly all periods of the Western art music tradition as well as some popular styles (primarily jazz). My teaching career spans public and private schools in New York, Florida, and Nashville – from Kindergarten through 12th grade – and included a broad array of music education formats including general music, choir, strings, piano, and music theory. I have taught at “alternative” and progressive schools, traditional college preparatory schools, and a public arts magnet high school. I also founded and directed an independent nonprofit youth orchestra for five years and have extensive experience teaching traditional dance and directing plays and musicals with students in grades K-8. I taught private and small ensemble lessons on several instruments during the early years of my teaching career, and later served on leadership committees at the school and district level, as well as on the boards of nonprofit organizations. and a third reflect my own personal musical interests and preoccupations. Naturally, there is some blurring of lines between these three broad categories. As the site evolves it accumulates links related to the categories described above, and also as time allows I have begun to post some recordings of my work over the years here. This year I began – occasionally – writing posts that are not about music or education. These articles can be found in the Off Topic category located on the right side of the menu bar at the top of each page.